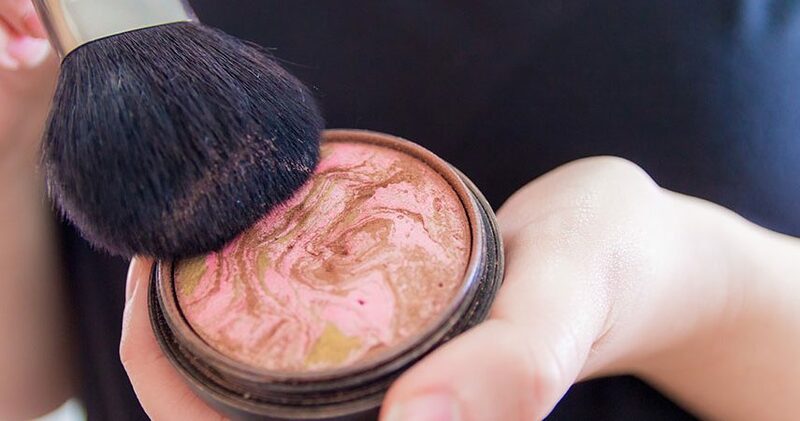 For decades, bronzer has been a staple in every makeup bag. It’s been used to give a bit of shade to the face, to get a beautiful sun-kissed glow, or to enhance an already existing tan. Let’s take a look at how to apply bronzer, how to use a bronzer brush, and how to contour with it to achieve a natural look! Bronzer is a product used to give you a sun-kissed glow, enhance your tan, or add warmth to the skin. When appropriately applied, it can make your skin healthy, radiant, and slightly contoured. It comes in several formulas such as powder, liquid, gel, and cream. 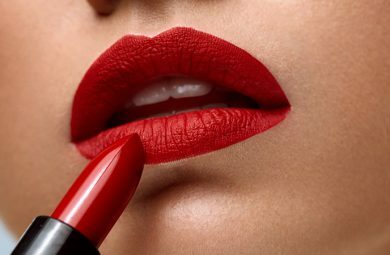 It can be shimmery or matte, and can be used on the body as well. There are many options when it comes to bronzer colors. People with fair skin should go for golden undertones, whereas medium skin tones should go warmer and rosier. Deep complexions will benefit most from red undertones, which will make their skin look warm and glowing. Of course, when it comes to formula be sure to pick one that suits your skin type. 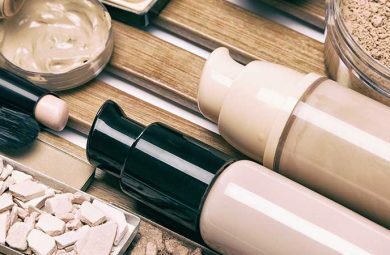 Dry skin will benefit most from a liquid bronzer, and oily skin works best with powder. What Type of Brush Should I Use for Bronzer? Before you even consider applying bronzer, take a look at your brush collection. Using small, dense brushes will not work well with this product, and you will end up with an overly bronzed face. Therefore, it is essential to work with the right tools so you can achieve the correct results. We’ll go into detail on what type of bronzer brush you should use depending on the formula. If you are using cream bronzer, go for a synthetic brush. However, if your bronzer is in powder form, natural is the way to go. 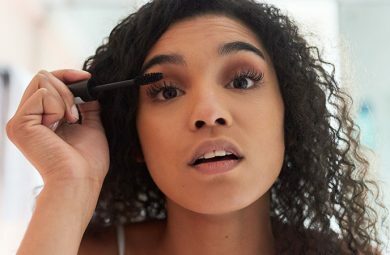 Natural fibers are much better at dispersing powders as they have a bit of texture, but they soak up a lot of liquid and won’t give you a smooth application. For matte bronzers, a brush with a rounded head works best, as it will cover the largest area quickly. For shimmery bronzers, you can opt for a fan brush to give you that subtle glow. 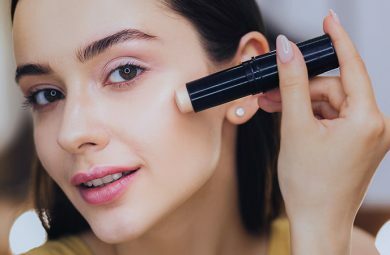 For blending, use a kabuki brush or a duo-fiber brush; these won’t disturb your foundation or move it around. Now that we have the right tools, let’s look at how to apply bronzer properly. We want to achieve the glowing, sun-kissed look and avoid looking muddy and dirty. To do that, and we need to know where to apply it. A good rule is to apply bronzer to areas where the sun would hit your skin the most, and where a natural tan would be the most prominent. These areas include your cheekbones, temples, and the bridge of your nose. When applying, get some product on a brush, dust off the excess, and start at the temple. Move the brush to your cheekbones, and sweep it down to your jaw. Blend it in with your neck and hairline, and if you are wearing your hair up, bronze the back of your neck and ears for a natural look. Lightly dust the bronzer over the bridge of your nose and chin for a super sun-kissed look. The key is to have a light hand and not apply too much at once. You can always add more, but it is tough to remove excess. Bronzer should generally not be used for contouring. It has a warm-tone and will not provide that cool shade you need. However, it is possible to contour with bronzer if done right. It works best in the summer when your skin already has a bit of sun. Pale complexions won’t benefit much in the winter. First, make sure to use a matte bronzer, one to two shades darker than your skin. Use a kabuki brush to apply the bronzer, and an angled brush to blend it in the areas where you would usually contour. Add a little more to your clavicle, bronze up the neck and shoulders, and you are good to go!